Get feedback on your work from a practicing artist in a supportive and friendly environment. November’s crit will be led by Anna Reading. Taking place every last Saturday of the month, our lunchtime crits give artists a chance to get feedback on their work from a practicing artist in a supportive and friendly environment. November’s crit will be led by Anna Reading. Email us your images beforehand at at info@turf-projects.com along with any additional requirements if you’d like us to get images up full scale on our projector! Anna J Reading (b. Newcastle Upon Tyne, UK, 1987) lives and works in London and is a graduate of MFA Sculpture, Slade School of Fine Art, University College London (2017) and BA (Hons) Fine Art, Central St Martins, University of the Arts London (2010). 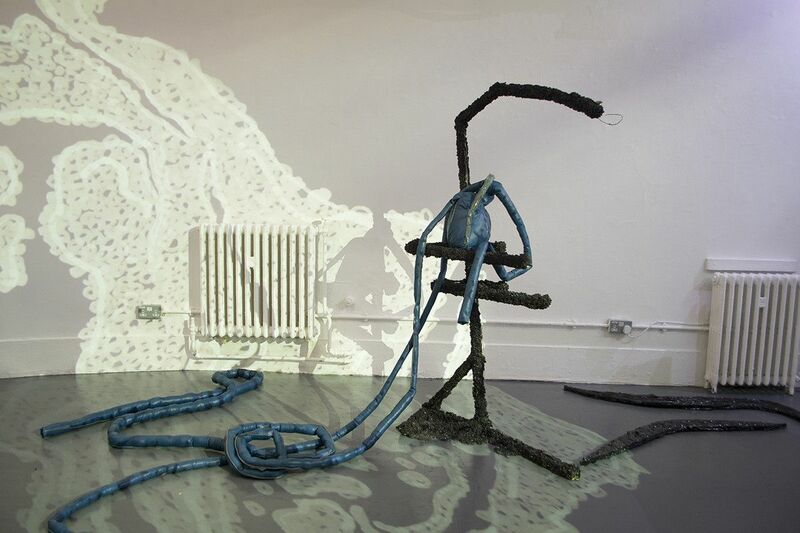 Reading’s practice comprises sculpture, moving image, animation, sound and spoken word. 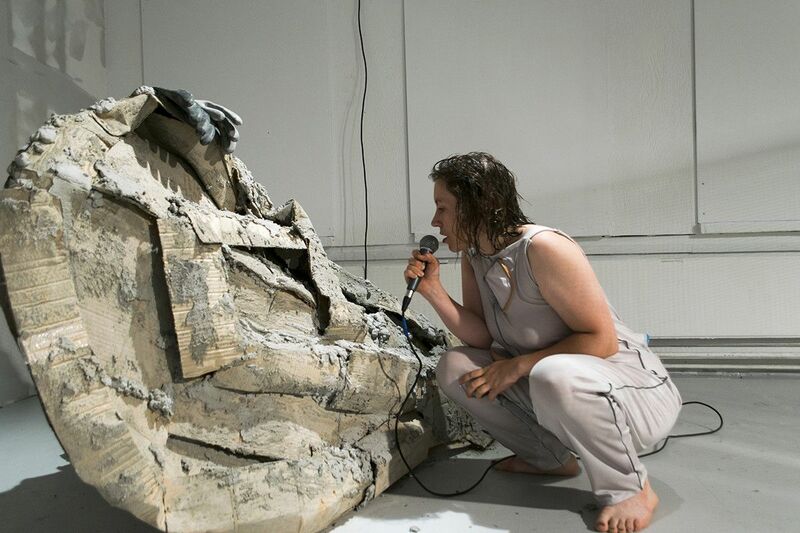 The works are often combined as mixed media installation or activated with performance, imagining the body in relation to human-made environments and objects. Reading recently held the position of Artist in Residence at Academy for Visual Arts, HKBU, Hong Kong, (August – October 2017) and was Artist in Residence at Non-Space, Aarhus, Denmark (July 2017). She received the Siva-Finestone Scholarship, Slade School of Fine Art, London (2015-2017) and was the winner of the Creekside Open Award, London (2015). Recent exhibitions include; POND, Kaitak Gallery, HKBU, Hong Kong (2017), Loop, Lubomirov / Angus Hughes, London (2017), Object 77B, LG London, (2017), Sequin in the Dustrag, Non-Space, Aarhus, Denmark (2017), Woah, M I L K at Division of Labour, London (2017), And To Dust All Return, UNNAWAY, Huddersfield, UK (2016) and Five Minutes, The Koppel Project, London (2016).